Thank you for your interest in our Bible School. Below is a bit of information to help you understand some background to who we are and how the school operates. We welcome the opportunity to be a part of your growing faith journey. Please also explore the links on the right for further information. History: Our part-time Bible School was launched in 1993 when Pastor Wolfi and Alison Eckleben came to London with two backpacks and a vision to plant a church – now known as Every Nation London. 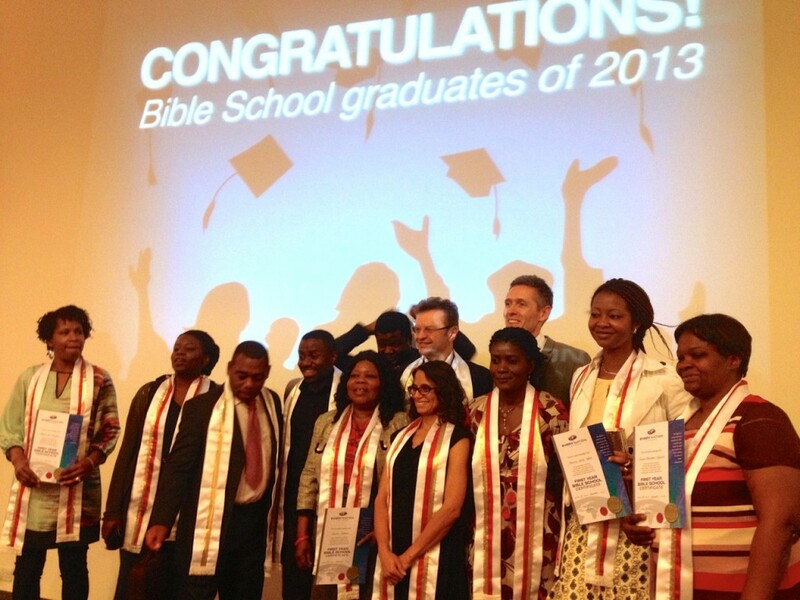 As part of this dream, the Bible School was started to equip Christians to live out their faith in the real world. Since its start in 1993 almost 1,000 students have completed the course, and for many it has been he launching pad for significant ministry involvement in church planting, campus ministry, community transformation, and church ministry in general. Every Nation London is part of the Every Nation churches ministering in over 70 nations worldwide, and on over 700 campuses. It is also a member of the Evangelical Alliance in Britain. To start getting equipped with this solid life-changing teaching right away via the online videos, you can go straight to the term one section now. No registration is required for the online school, and no exams or certificates will be issued.